Parents: would you do this? 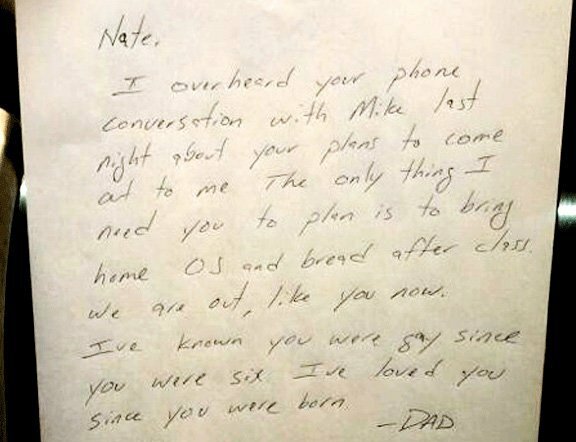 A letter written from a father to his son. If only all parents would be this way. I overheard your phone conversation with Mike last night about your plans to come out to me. The only thing I need you to plan is to bring home OJ and bread after class. We are out, like you now. I’ve known you were gay since you were six, I’ve loved you since you were born.